UF Parents/Students: 4BR/4BA ground floor condo. ON the bus route. Bike to UF! Newly updated. Each BR with own private, full bath and walk-in closet. Galley kitchen overlooks dining/living combo common living area. Laundry closet located in central area, near front door w/ washer/dryer included. NEWER Carpet and Padded Vinyl flooring. Move-in ready and priced to sell. High speed fiber optic internet INCLUDED in HOA dues, along with pool/hot tub, garbage, etc. 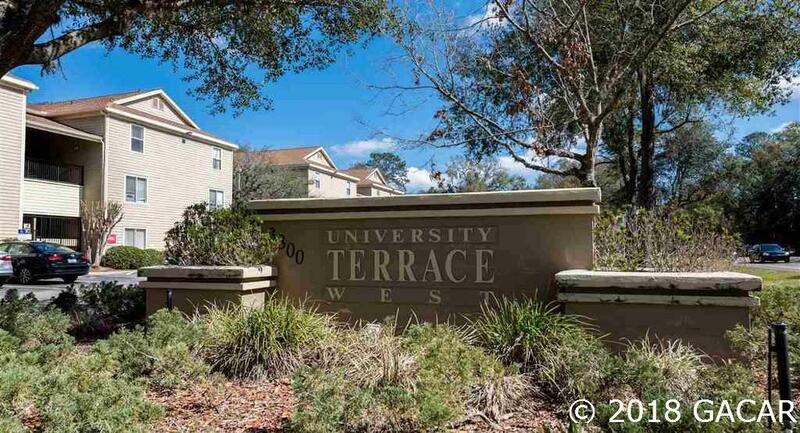 This ground floor condo is super close to UF on popular bus route with service to UF every 15-20 minutes during peak hours & direct routes to brand new Butler North Plaza (shopping and eateries galore). Unit located in quiet NW corner of complex with wooded views.